Arthur Lawford is meandering through a graveyard in a melancholy mood, brooding on his current illness, until he falls asleep against the tomb of suicide victim Nicholas Sabathier. Feeling invigorated upon waking, Lawford hurries home only to be dealt a chilling shock. It is a stranger&#x2019;s face that peers back at him from the mirror! Horrified by his transformation and alienated by the mistrust of those closest to him, Lawford struggles to adapt to life through a mask. Discovering that his new face is that of the dead Sabathier, Lawford skulks in the shadows, questioning who he is and who he might become. A psychologically thrilling tale of the occult from Walter de la Mare&#x2019;s masterful imagination.<br /><br />FLAME TREE 451: From mystery to crime, supernatural to horror and fantasy to science fiction, Flame Tree 451 offers a healthy diet of werewolves and mechanical men, blood-lusty vampires, dastardly villains, mad scientists, secret worlds, lost civilizations and escapist fantasies. Discover a storehouse of tales gathered specifically for the reader of the fantastic. Each book features a brand new biography and glossary of Literary, Gothic and Victorian terms. Much honoured and decorated throughout his lifetime <b>Walter de la Mare</b> (1873&#x2013;1956) was a prolific author of poetry, short stories and novels. In his lifetime he was popular for his children&#x2019;s stories but also highly respected by contemporary literary writers such as W H Auden, Graham Greene and Angela Carter. 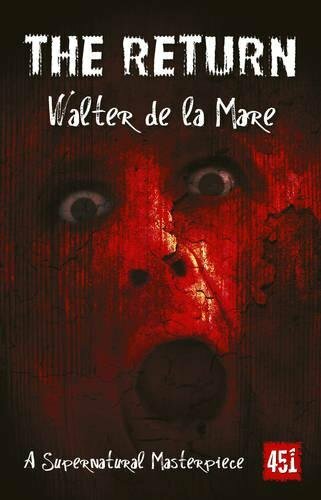 Today de la Mare is celebrated for his technical skill, unnerving ability to create atmosphere and the subtle ambiguities of his twisting narratives.